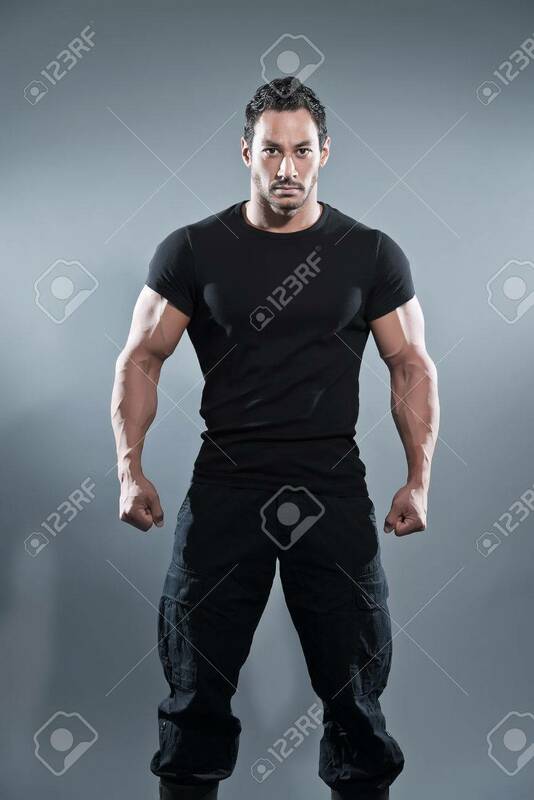 Combat Muscled Fitness Man Wearing Black Shirt And Pants. Studio.. Stock Photo, Picture And Royalty Free Image. Image 28895416.